When it comes to planning a vacation, the location you choose is of the utmost importance. You need somewhere that offers not only great accommodations but excellent area attractions and a close proximity to all the action. Whether you're interested in taking a vacation with your family or looking to find the perfect setting for a business retreat, the beautiful Canal Park area of North Shore, Duluth, Minnesota is the perfect place for your next getaway. 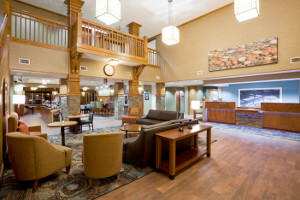 The Hampton Inn Duluth Canal Park is located just off I-35 and an incredible 50 yards from the shores of the sparkling waters of Lake Superior. This beautiful destination offers all kinds of travelers the ideal blend of peace and excitement. All of their 103 guest rooms and suites are impeccably furnished with modern amenities such as a microwave, refrigerator, free wireless internet, coffee maker, iron with ironing board, and much more. A delicious breakfast is included with your stay so you can start every morning off right! The hotel is close to the downtown area of Duluth and the convention center, making it a great choice for business retreats. Onsite you will find a 950-square-foot Starboard meeting room complete with free wireless internet and a business center. They can host groups up to 48 people and they provide rental for onsite audio/visual equipment. Off-site catering services are welcome as well and their professional staff will be happy to help you plan your event to suit your specific needs. If you're here with family or are looking for some entertainment in-between all your business work, you'll love the hotel's central location to activities and attractions. Take the short walk down to the rugged shoreline of Lake Superior. As the largest freshwater lake in the world, this stunning retreat offers plenty of space to explore. Come for a swim or a fishing trip, or simply settle down along the edge and bask in the magnificent views. If you're looking for even more to do, enjoy a drive down the North Shore Scenic Drive or the Skyline Parkway, which rises 600 feet above the city and features some of the most fantastic views imaginable. Families will especially love visiting must-see Duluth attractions like Canal Park and the Aerial Lift Bridge, both of which are located right near the hotel. 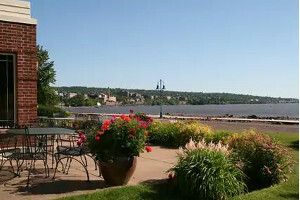 Other essential Duluth attractions include the Vista boat tours, the Lake Superior RR tours, and the Great Lakes Aquarium. However you choose to spend your days in this exciting destination, you're sure to have an unforgettable time. Let Hampton Inn Duluth Canal Park help you plan the ultimate vacation with family, friends, or colleagues today!